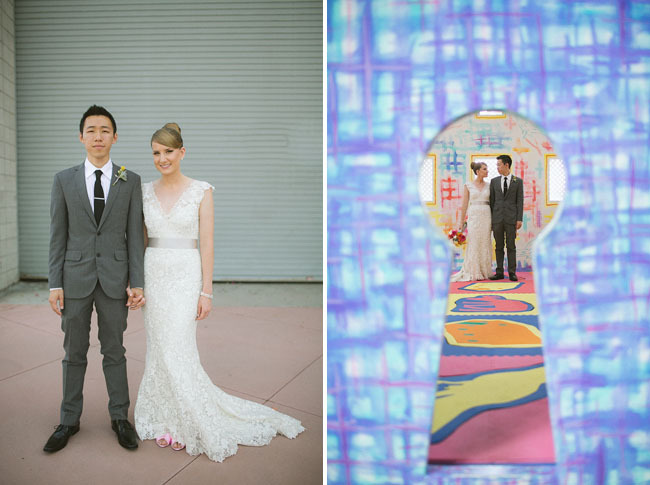 Like all GWS couples, Aly wanted her wedding to reflect the two of them as a couple and be a little bit different! :) From Aly: I just wanted it to be cool and have a lot of color. My biggest priority was photography because that is the one piece of the day you get to keep forever. 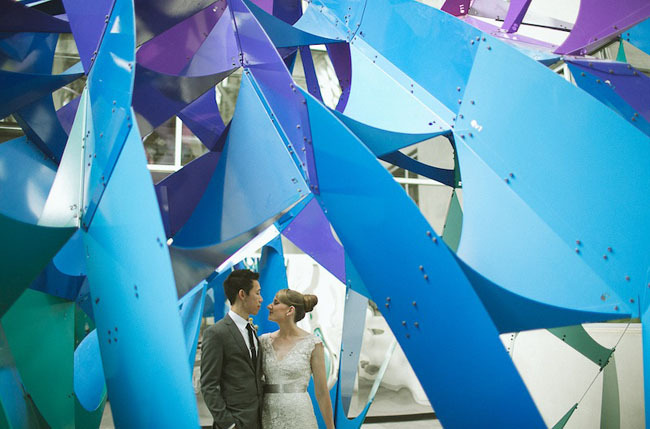 Derek and I wanted more of a modern feel for our wedding and that’s why we picked The New Childrens Museum for our venue – it was the perfect combination of fun colors and cool architecture with the overall vibe we wanted. 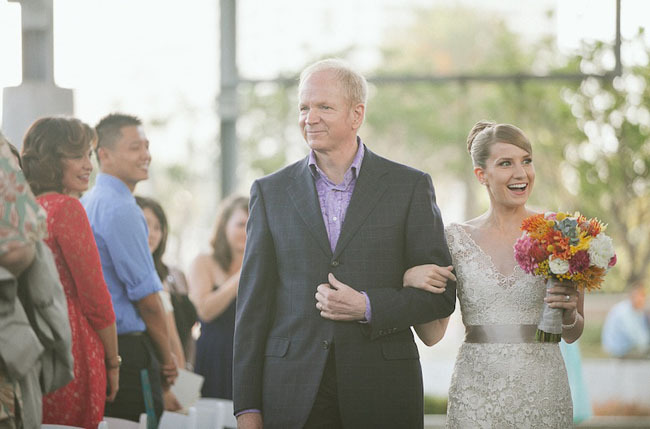 Once we found a venue, everything else came into place fairly easily. 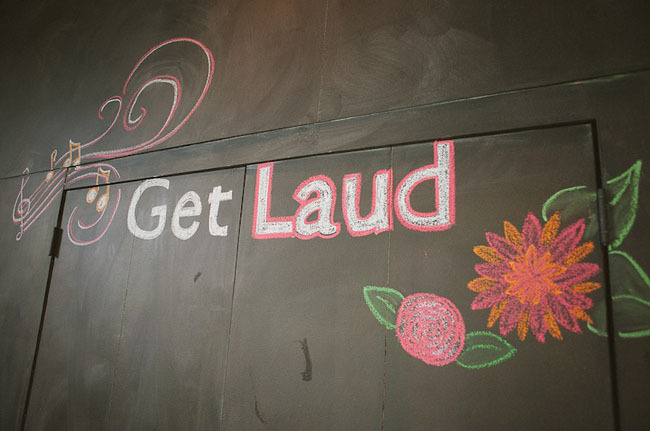 I love their use of chalk throughout their wedding! Such a fun (and totally affordable option) to add a bit of whimsy into your day. 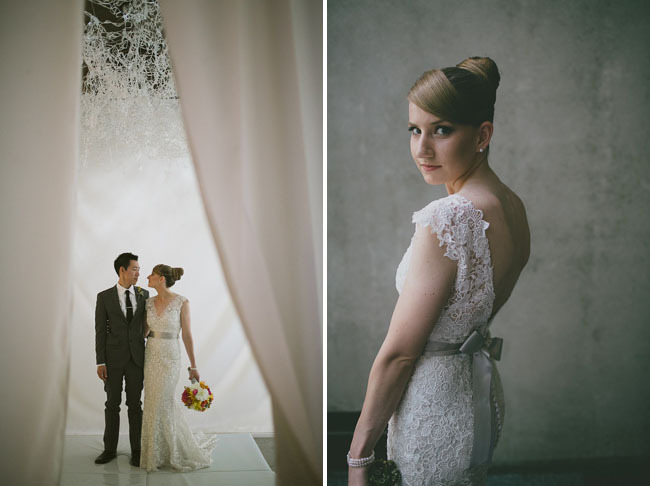 Big thanks to Couture Events for the coordination + styling and to Stone Crandall Photography for the photos. 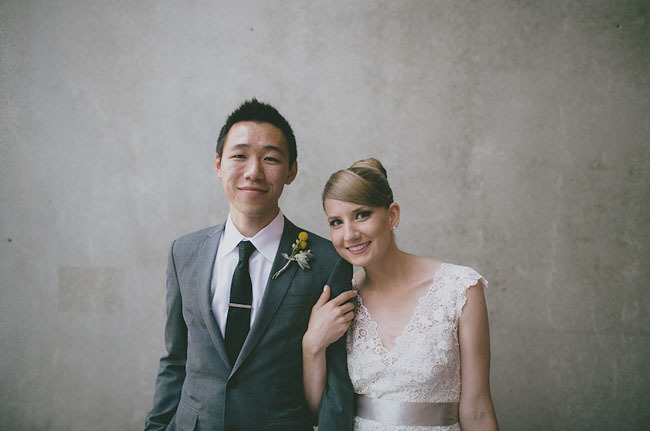 Congrats Aly + Derek! My favorite moment was during the last song of the night all of our friends lifted Derek and I up in the air. We felt so loved and celebrated and it was the perfect way to end the party! I've always been jealous of the Jewish hora chair dance and I got to have my own version! 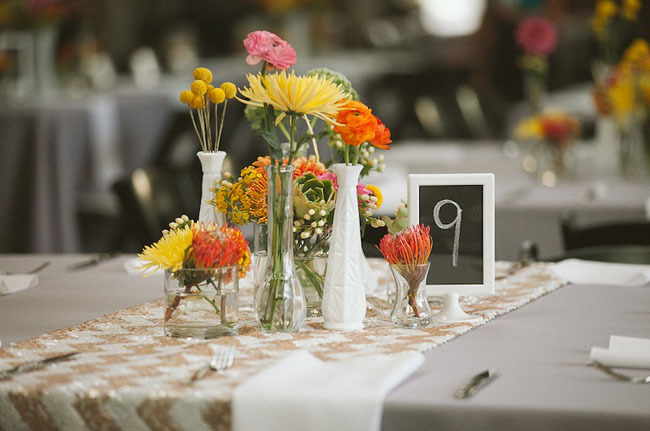 The two details that stood out the most in my mind were our flowers and our gold sparkle table runners. During the wedding planning process I didn’t really think flowers were a priority to me, but in the end our florist did such an amazing job and her ability to represent our style through the flowers made all the difference in the overall look of the day. 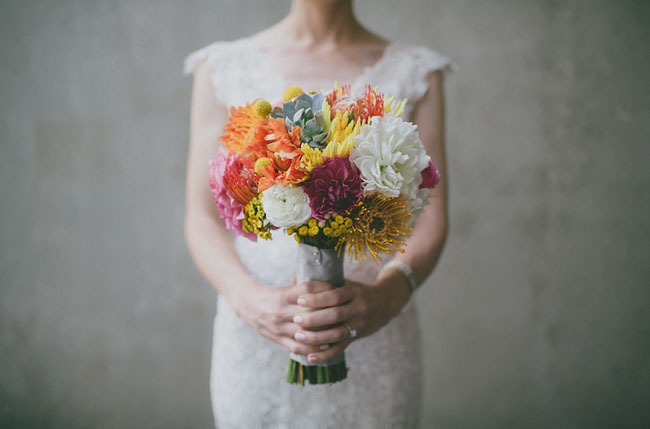 I am obsessed with the florals we had and absolutely loved carrying around my bouquet. In the weeks prior to the wedding I had everything planned and finished and had told a close friend the one element I was sad that I didn’t have the budget or emotional space left to plan for was a little element of glitter or sparkle. It was a complete gift from God when our wedding planner, Krystel from Couture Events, sent me a picture the afternoon of the wedding of some sequin linens & table runners that she brought along as extra décor just in case and thought we could use:)! We were so thankful, they made the room SPARKLE! It might be a good idea to practice your first kiss (ours felt awkward)!! My biggest fear planning the wedding was that in the end it would all feel like a waste and that I would feel like I wasted all of this time, money, and emotional energy on a party when all I truly wanted was a marriage. I wish someone had told me how much FUN my wedding was going to be. It was literally THE BEST DAY EVER and I don't regret a single thing. We skipped a lot of the routine wedding activities like the garter toss, cutting the cake, and bouquet toss. I'm glad we focused on doing the things we knew we wanted to do, and skipped the stuff we didn't care about. I think I learned a life lesson: Go with your gut! If you don't want to do it, you don't have to. And if there is something unique that you haven't seen done before but want to do - DO IT! Wow! I love the idea of the chalk more than I even anticipated! Who did all of the chalk art? It’s such an artistic idea and it also makes the photos have a comic-type feel. I also must say that the brides hair looks amazing. It is difficult to execute and pull off a sleek pulled back look like this! This wedding is simply amazing! 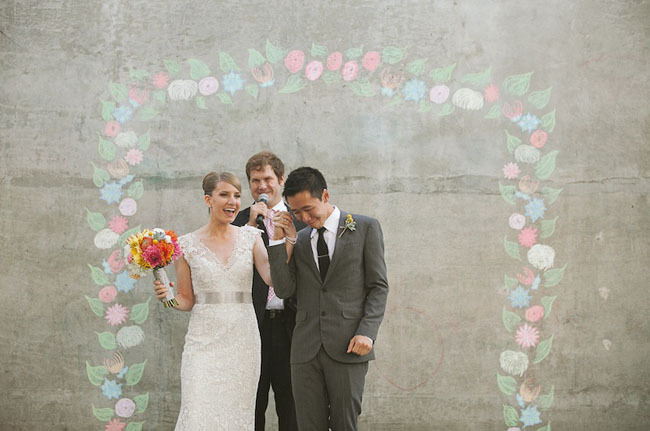 Love how they incorporated all the chalk work into their wedding. 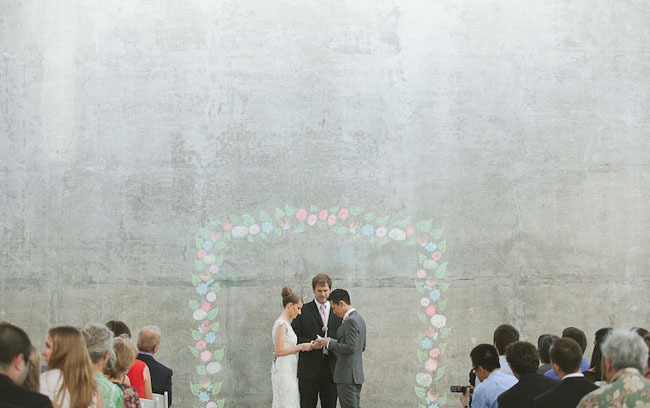 love love all the chalk art, especially the one in the ceremony! Wow! Beautiful couple, wonderful colors captured in fantastic photography! beautiful! 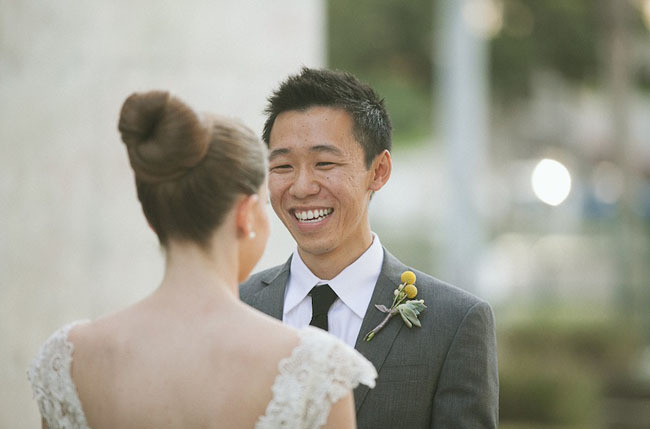 i love how the photos really capture the beauty of the wedding and love these two share! Where are the runners from? 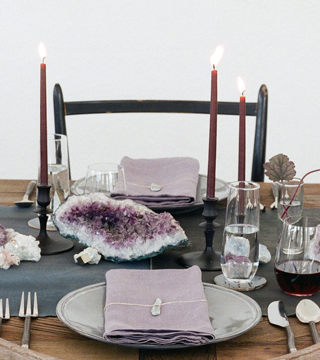 What a great idea, gorgeous styling! I just love it! Love the chalk work. This is such a great idea for someone trying to save a few bucks…as long as you know some creative people! I love the advice from the couple – very astute! When we got married, we cut our cake with a sword and had the bridal party do a set as a rock and roll ukulele band. And now when we look over our pictures, we know that day was truly US! I love the idea of using chalk elements. It adds a touch of whimsy without being cheesy. 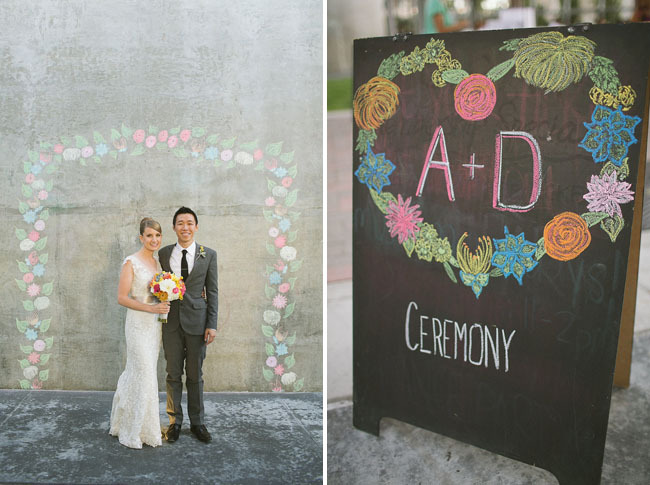 I LOVE the chalk elements throughout this wedding! 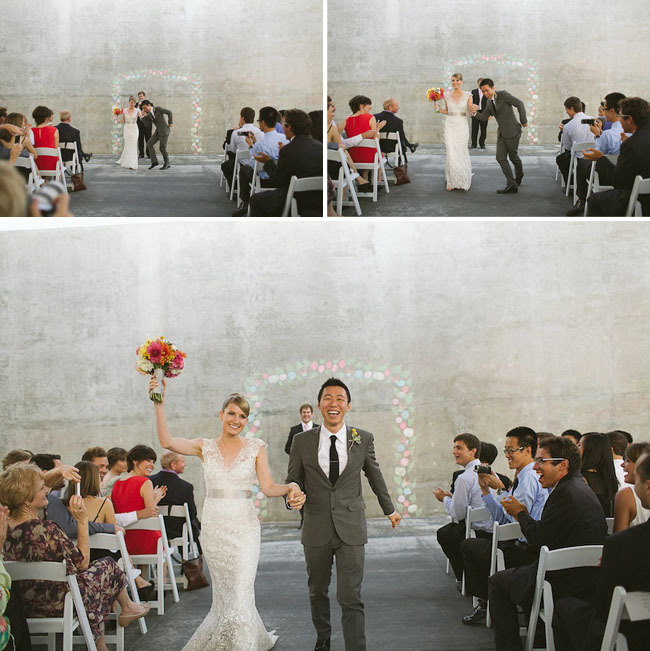 The chalk flowers in the ceremony serving as an arch looks beautiful and is so creative! Couture Events did an amazing job! Adding the sequin table linen touches to the reception was an awesome idea that added an element of FUN without being over the top. 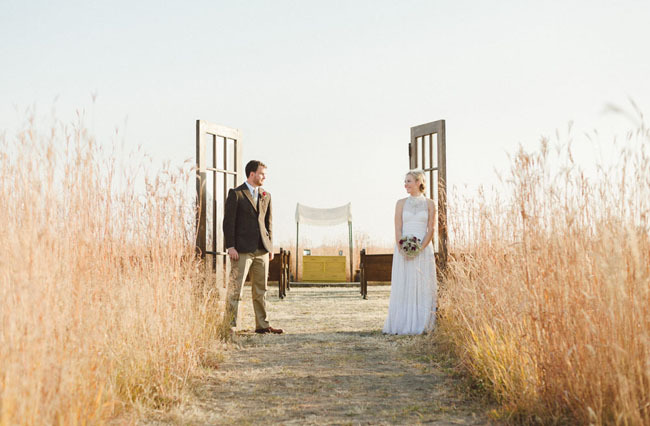 I absolutely ADORE this sweet couple and their beautiful day! 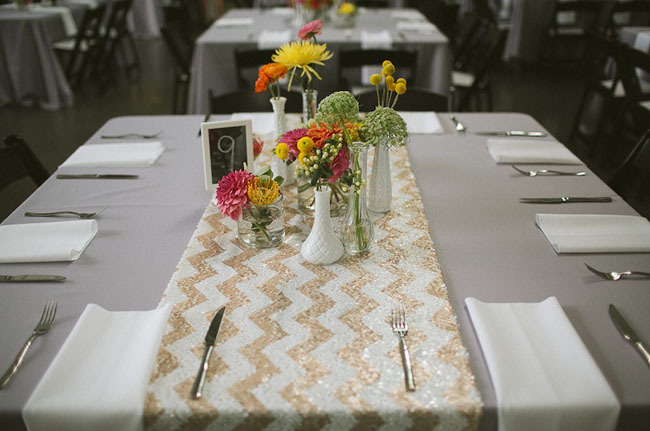 Love the chevron sequin runners and all the chalk details- so fresh and unique! 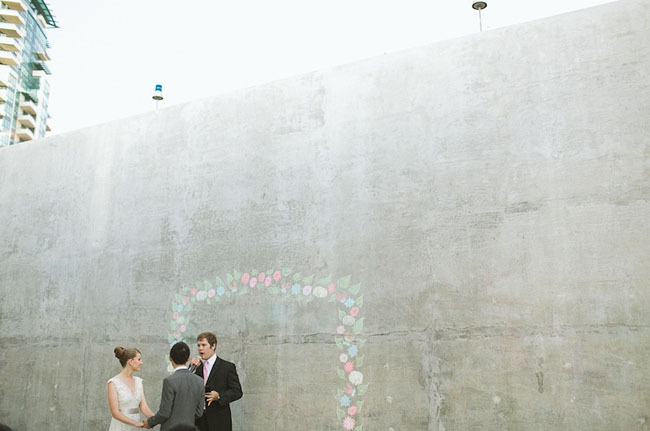 Lord willing, if I ever get married I will be using lots of chalk and Stone Crandall Photography. The whole time I was looking at Derek’s suit I kept thinking it was not your typical off the rack. And then when you said it was by Thick as Thieves the penny dropped – they make such great cuts and tailoring, it’s a true pleasure to see a groom as presentable as the pride. Congrats you two – love the wedding! 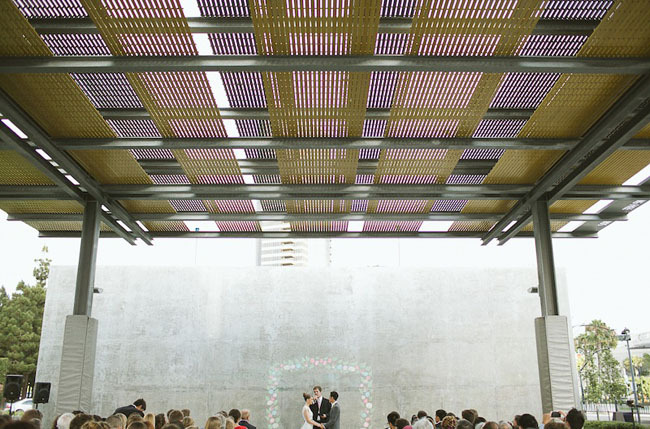 What a fabulous idea for an urban wedding. Relatively inexpensive and the decorations are only limited by your imaginations! How cool is that!? Love the colors and centerpiece clusters!! And super creative with the chalk designs. 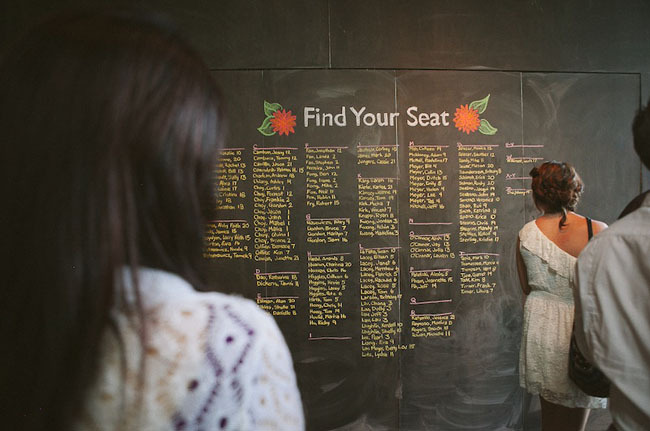 What a creative idea for the ceremony! Love the chalk arch!! The sequin chevron runners and the Chanel elements are to die for! In love with this whole wedding, couture events did a great job setting it up and all the vendors did fabulous!! 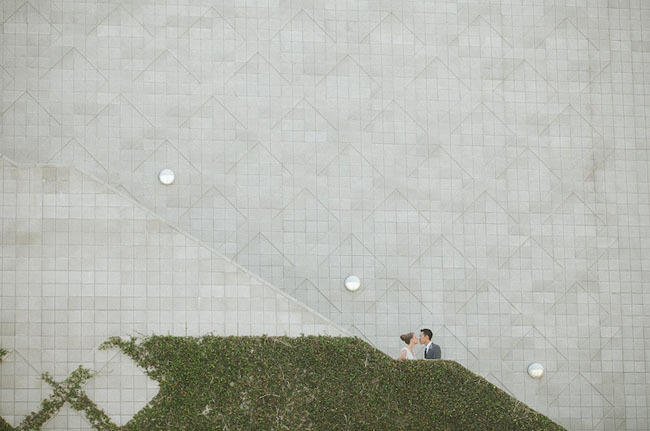 This wedding is so creative and inspiring! LOVE the key hole picture and all the chalk usage.